UFO-112 uses EnvisonTEC E-Shell series materials in the production. E-Shell produces strong, light, tough, suitable for the hearing aid and earphone industries. Low frequency sound of UFO-112 surprises you! Complete with frequency response of 3-20000Hz and the sound pressure level of 118-120dB in 20Hz, UFO-112 provides personalized and high quality listening. The UFO-112 named because it pairs one Dynamic and two Balanced Armature driver. The three drivers work in harmony to provide a musical, yet highly ambient experience! The frequency range of UFOEAR UFO-112 is 3-20000Hz. At 20Hz, the earphone can produce 118-120dB of output, which brings you powerful bass and immerses you into the wonderful music world! 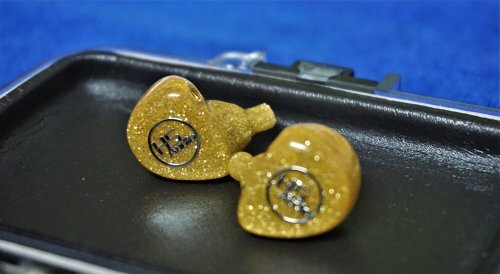 UFO Ear is a new company from China, with good experience, creating IEMs that are in the midrange price range, with a unique design, almost like they're from another planet. 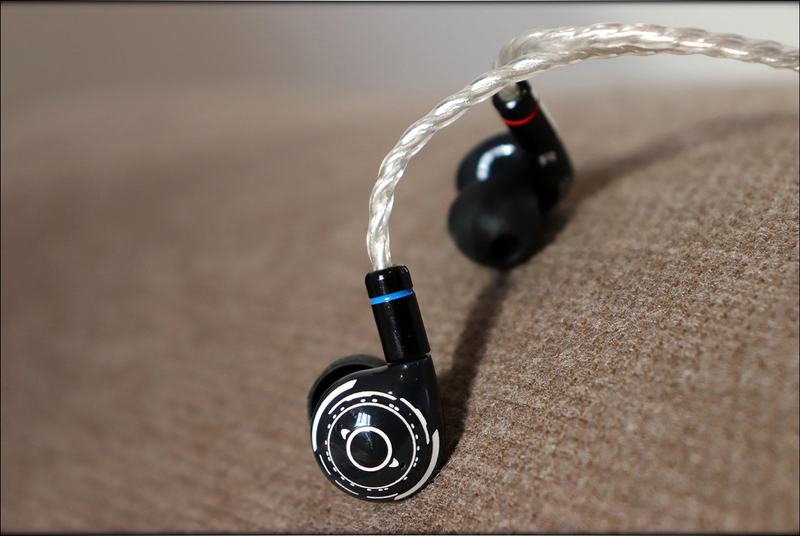 The 112 from UFO Ear should be tested against other IEMs from this planet, and we'll see how it stands its ground. UFO Ear is a pretty new company from China, and the main person behind them, David, is quite a fine gentleman, who will take care of things for you, if anything bad is to happen. So far, the build quality on my sample of 112 has been pretty much excellent, so I don't expect there to be issues, but if there will be, you know you have your back covered with UFO Ear. It should be noted that I have absolutely no affiliation with UFO EAR, I am not receiving any incentive for this review or to sweeten things out. This review is not sponsored nor has been paid for by UFO EAR or anyone else. I'd like to thank David and UFO Ear for providing the sample for this review. The sample was provided along with UFO EAR's request for an honest and unbiased review. This review reflects my personal experience with UFO EAR 112. Every opinion expressed is mine and I stand by it, the purpose of this review is to help those interested in UFO EAR 112 find their next music companion. For the first time in a long while I can talk a bit about the package, because 112 comes in a rather unique and excellent package. Beneath the larger cardboard packaging, you will find what I can basically describe as a spaceship. I'm not even joking, it is a real spaceship! For all I can tell, this is one of the most ingenious packages a company has ever created so far. It even serves a useful purpose, it acts as a tip holder. If this isn't one of the most fancy things one has ever seen, I'm not sure what is. The center part is a rounded metallic case that screws in, and it is the main transport solution for 112. They come with a cable, high quality, 2-Pin, Single Ended, and with a large selection of tips. There are also manuals included in the package. 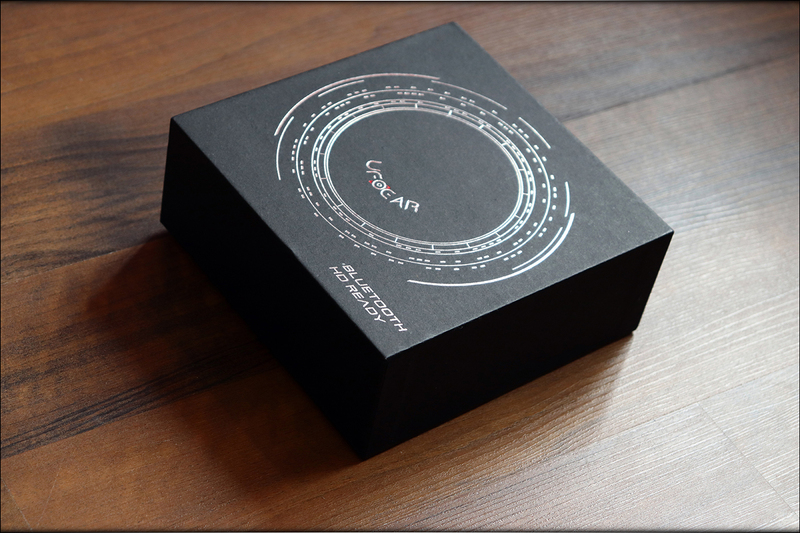 Overall, UFO Ear 112 has a really excellent package and goes beyond my typical limit for reaching a golden level for packaging. Starting with the build quality, UFO EAR 112 is a plastic IEM, with a plastic shell, hiding two Balanced Armatures and one Dynamic Driver beneath. The cable is a Silver Plated Copper cable. 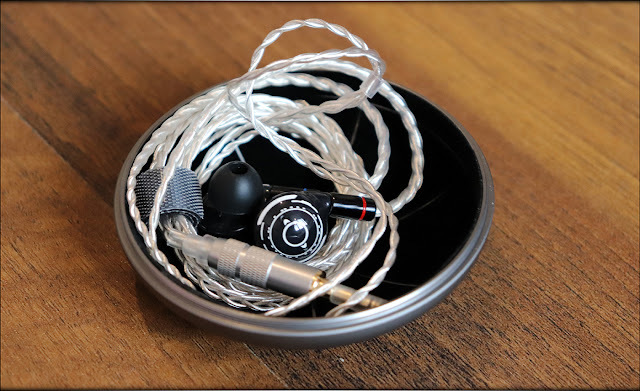 The IEMs themselves are very round, very ergonomic, basically being two little spherical surfaces with nothing else but the bore and their connection to the ear, and on the other hand, the connection to the cable. They have two sonic tubes inside the bore. The very ergonomic overall design brings a smile to my face, because I could wear them for long periods of time without fatigue, they simply sit well in my ears. The large selection of tips also helps with this. One thing I do not fully understand though, is why they'd 3D print them, when it would probably be less expensive to acquire them mass produced, but either way, the plastic on the outside feels nice, feels pretty high-quality. UFO 112 isolates fairly well from the outside noise, but they don't have any driver flex, indicating a good amount of venting. 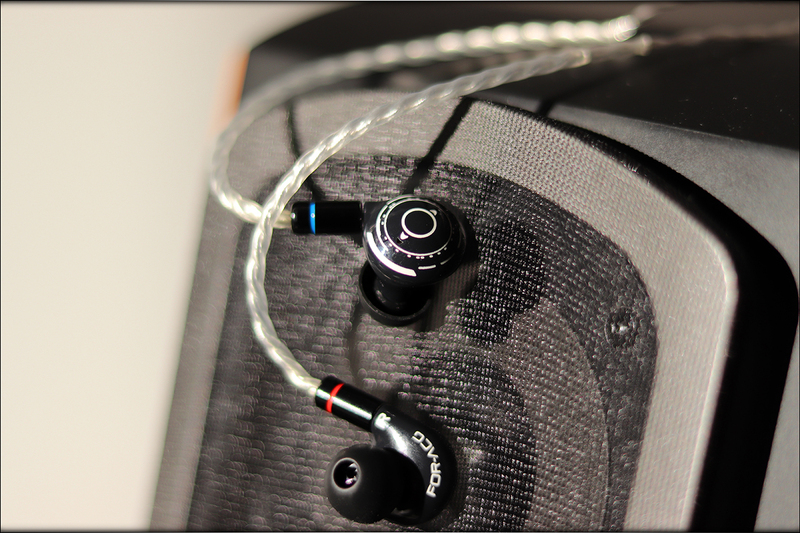 I like this, and feel happy that a new company managed to get no driver flex on a newly released IEM. There is some hiss with hissy sources, and since they have BA drivers and an extremely low impedance, of just 14 OHMs, there will be some changes in sound with high output impedance sources. 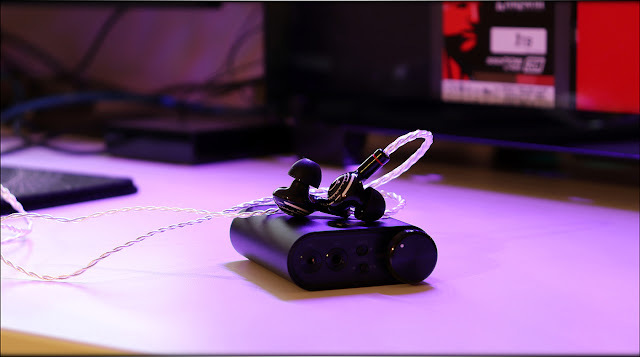 The comfort in practice is very good, they are a good walking and even running IEM, the cable has springy rubbery parts that go around the ear. The fact that those aren't hard wired means that they will adapt to your ear's shape without worries, and that they won't get uncomfortable. The aesthetic that reminds of a spaceship stays true to the original design of 112, and I feel like on an overall level, they are a pretty cool-looking, comfortable, well built IEMs that do reach the golden levels of comfort and build quality. The sound of UFO 112 is one of a kind, almost like it didn't come from this planet at all. They are an extremely bright, slightly sibilant IEM, with a high affinity for detail and clarity, and with a really awoken presentation of micro details and textures. UFO 112 was tuned for an Asian public, and more especially for Anime-related music, Gaming, Soundtracks, and as such, it should present music pretty wide, with a good amount of brightness, a sweet voicing, and with a more neutral bass. The bass is pretty neutral, and while it can be felt where it should be felt, it tends to favor Metal music over electronic or rap music, especially when you consider that a bass guitar should sound like this, while electronic music bass, or that found in EDM is more favored by higher quantity. The bass texture is clean, and although it isn't quite the most textured bass to ever exist, the detail is good for the price range of 350 USD, being about as detailed as its competitors. The midrange is slightly pushed back compared to the bass, and very recessed when compared to the treble. The midrange is very clear, has a great amount of detail to it, and is very well separated, with the soundstage width being really really huge, and with the instrument separation being quite excellent. There isn't a lot of depth, but the wide and well separated sound comes through as very holographic, and very pleasing for progressive rock, rock in general, metal, and symphonic metal. Orchestral music as well as lively classical is also presented wide, and although it doesn't have a lot of warmth or body, given the more neutral bass, it has a nice separation, detail and refinement, thanks to the pretty excellent soundstage and detail. I keep talking about the detail and the micro detail, but basically, there is a nice bump in the upper midrange, and another one in the 7-9kHz in the treble, which gives extra air and detail to the music, pushes forward female vocals to be sweet, but also very emotional and dramatic, everything having a good amount of emotion and impact. Now, the treble is the best part, UFO 112 is very well extended in the upper treble, they have a very airy and clean sound, and you can feel the textures of stringed instruments through and through. There are traces of sibilance, and especially music that was recorded with a touch of sibilance or which was recorded very bright, will be sibilant, so I could say that they reveal sibilance quite well. Due to their revealing nature, they pair poorly with older and poorly mastered recordings, but do favor to music that is mastered really well. Paired with the right music, and maybe with a warmer and smoother source, like Shanling M0, they shine like a true diamond, especially with their really cool aesthetic and actually interesting package. Overall, UFO 112 is one of the bright, happy, open-sounding IEMs that you should totally check out if you're into this type of signature, and if you're not afraid of them revealing the mistakes in the songs you like, like sibilance. Portably speaking, UFO 112 is quite excellent. 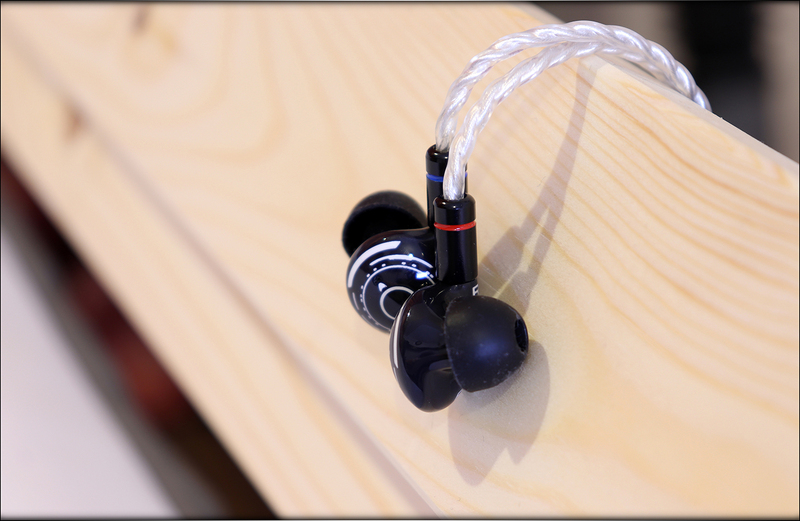 They are a comfortable pair of IEMs that will sit in your ears, even if you're running. UFO Ears also claim that they're protected from water and sweat, so you don't have to sweat it if you're sweating a bit. Furthermore, they have a very low impedance, but a very high sensitivity, so they are quite easy to drive from a smartphone, sounding quite good actually, from my rather poor xiaomi mi max 3. 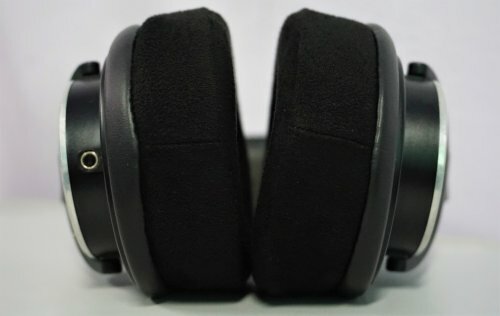 Other things to keep in mind, are that they isolate very well, so you may want to not wear them if you'll be away in a rather dangerous environment, I always advice people to not wear fully closed back or very isolating IEMs if they're walking on the street and are a bit careless of their surroundings. In all honesty, with the rounded and fully metallic carrying case, good comfort, and easy to drive nature, UFO 112 is a very portable IEM. 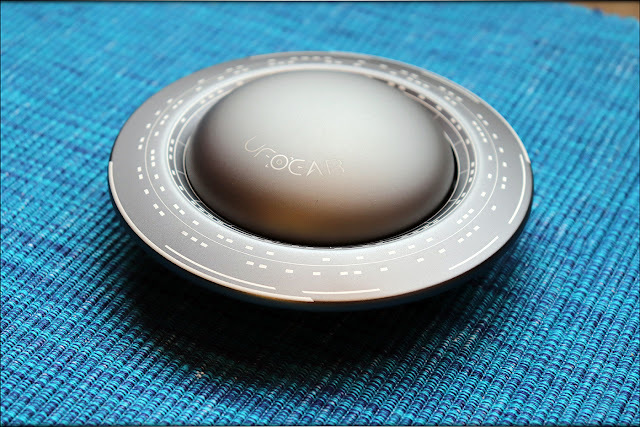 UFO 112 is priced around 350 USD at the moment of writing this review. This means that the direct competitors are FLC 8N, Periodic Audio Be and Final E5000. UFO 112 vs Final Audio E5000 - Now, here's an interesting one, because E5000 is pretty much at the direct opposite end of the spectrum, with a really thick, really lush and really laid back sound, that rolls off the treble quite early, and instead of brightness can be characterized by fullness, although they are fairly crisp, and E5000 is a really really really thick-sounding IEM. Both IEMs come with good cables, good ergonomics, and good carrying cases, although the case of 112 is made of metal, while the case of E5000 is made of rubber. 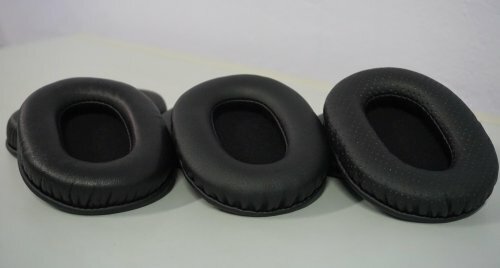 The build quality is excellent on both, both are vented and both are very comfortable, although they are worn differently, e5000 straight down, while 112 is over-the-ear, and E5000 requires to be listened very loud to truly shine, and leaks a lot, while 112 sounds best and low and moderate volumes, and doesn't leak one bit, but also isolates quite well, although E5000 also isolates fairly well. Overall, if you're looking for a thick, lush, full and deep IEM, E5000 is the clear choice here, while if you prefer a more bright, analytical, clear, clean, and revealing sound, UFO 112 is the one for you. 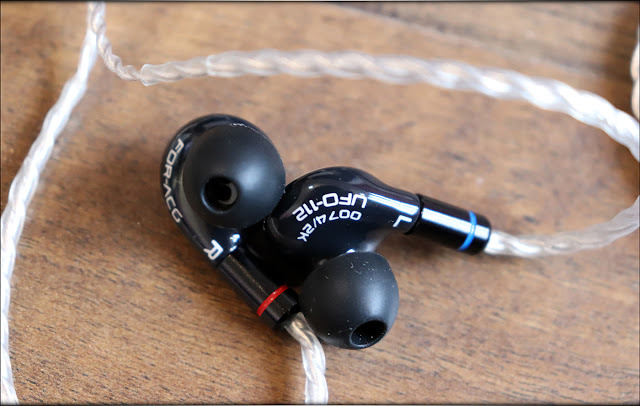 UFO 112 vs FLC 8N - FLC8N is also a IEM that can seem gimmicky before you spent a while with it, since a single IEM with over 36 signatures surely sounds pretty amazing, but a bit iffy at the same time. All in all, both are comfortable IEMs, with FLC8N being quite a bit more generic sounding, and UFO 112 having a better fit overall, with better comfort, but one thing to notice is that FLC 8N does actually have a large number of tunings, but none isn't quite as bright and as revealing as UFO 112, although FLC8N sounds extremely wide and clear as well. 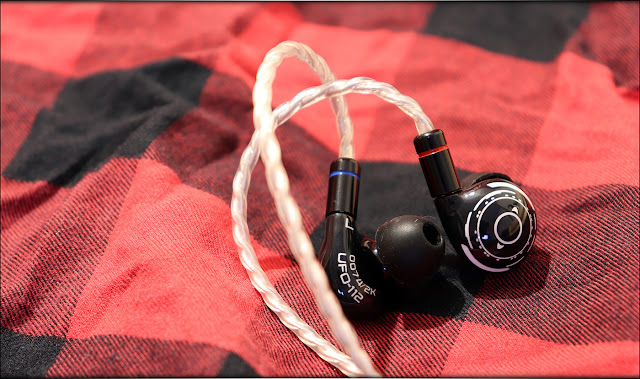 Overall, UFO 112 brings a bit more detail forward, but is more prone to sibilance, is more comfortable, and is easier to use, while 8N is more complicated to use, but still an amazing IEM easy to recommend if you're not one to like a very bright sound. UFO 112 vs Periodic Audio BE - This one is interesting, because the two are actually quite different in both tuning and principle, being a IEM that is supposed to look as minimalistic as possible, without a detachable cable, and with a very simple aesthetic. This being said, the metallic carrying case of Be is very flashy. On the other hand, both are really comfortable IEMs, but 112 is more comfortable, and is built to last more, with its detachable cables. The sound is very different, with 112 being much brighter, with much more focus on the treble, a less warm bass, a more wide soundstage and with more emphasis on detail and its revealing ability, than Periodic Audio Be, which is focused on romance, musicality, euphonics, and a more mellow, more gentle, more acoustic and more warm sound, making older music much easier to listen to than UFO 112, which reveals maybe a touch too much detail for older music, or for poorly mastered music. UFO 112 is easy to pair with many portables, but it loves a better Player or DAC/AMP, and will sound better with a better source. This being said, their really easy to drive nature means that they are really easy to pair with ultraportables, and given that UFO EARs were planning on including a bluetooth cable at some point, it is quite clear that this is part of the reason they have such low impedance and high efficiency. UFO 112 + Shanling M0 - Shanling M0 is actually a really good pair for 112 because it mellows them out, calms down the treble and thickens the bass a bit, making them more versatile and more universal. If there's any really small ultraportable that I could easily recommend with 112, M0 would be it. Count in the excellent Hiby software magic and support and you're in for a lot of fun with M0. UFO 112 + FiiO M3K - M3K is a colder, more neutral, brighter device compared to M0 and most devices, making it one of the best reference ultraportables. This means that you'll hear the 112's signature untainted by any colored source, basically their huge might of treble brightness, linear bass, and their entire huge soundstage, M3K being larger sounding compared to typical warmer ultraportables. UFO 112 + iBasso DX120 - DX120 is like a dream companion with 112, and I've been using this pairing quite a bit, due to DX120's excellent sonic characteristics, two microSD slots, and the multiple music modes. You can make DX120 and UFO 112 sound as you like to, DX120 has an excellent EQ implementation as well, and with 1 TB of music at your fingertips, or even more, you're set for fun. UFO 112 has been a true delight to review, and one from another planet at that. It is quite clear that if you're looking for a IEM that simply sounds out of this world, you should consider UFO 112, but for its 350 USD price point, it has a lot to answer to, before you can make a decision, but it seems to hold its ground quite well. Starting with the build quality, it is made quite well, it has ventilation, so it isn't prone to driver flex, and it didn't get a single scratch during my tests and usage, which means that it will last well for most people. The cables are also based on the 2-Pin connector standard, so you can easily exchange them if they'd be to get broken. The isolation is very good, and so is the comfort, but you'll have to take care of your surroundings if you'll be walking while wearing them, as otherwise I'd be quite concerned about your well-being, and so should you. The sound of UFO 112 is also quite unique, very bright, yet finely detailed, the emphasis in the treble surely makes them sound very wide and well expanded in width, and although they don't have a lot of depth, they surely know how to sound pretty holographic. The dynamics are also pretty nice, and so is the impact, although for such a bright IEM, you should make sure you're looking for this type of sound before getting one, it surely is an acquired taste. At the end of the day, if you're looking for a fairly comfortable, well made IEM, with an interesting presentation, that comes with a high-quality cable, and with a nice carrying case, and with a bright, energetic, lively, forward, detailed and clean sound, you should totally consider UFO 112, and let them take you to the outer space. UFOEAR is another new player in the upper tier earphone market from China’s Dongguan City Huaxian Industry Co. Ltd managed by its Dongguan City Broad 3D Technology Co., Ltd branch which specializes in 3D printing. 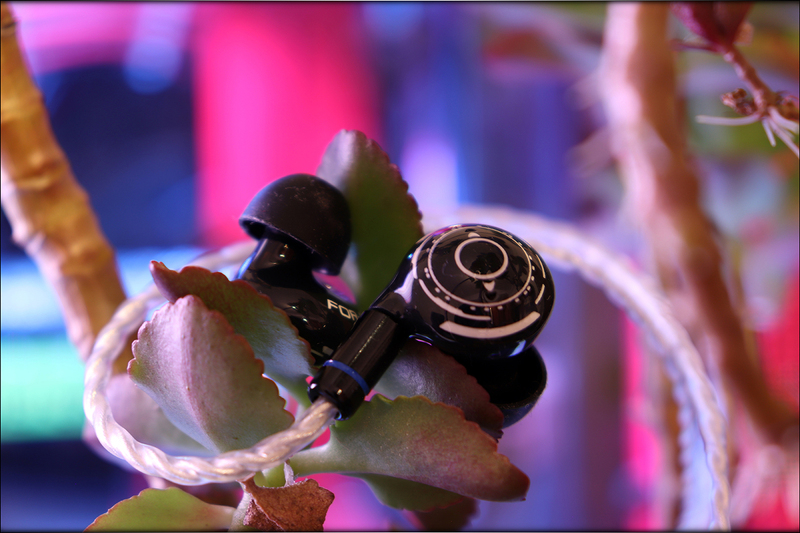 The UFOEAR brand, as the name suggests already, draws inspiration from the astronomical fields and schemes for its overall company direction although naming patterns has already been done before from IEM models such as the Andromeda. This approach makes their entire UFOEAR line showcase what the space exploration silhouettes are capable of. 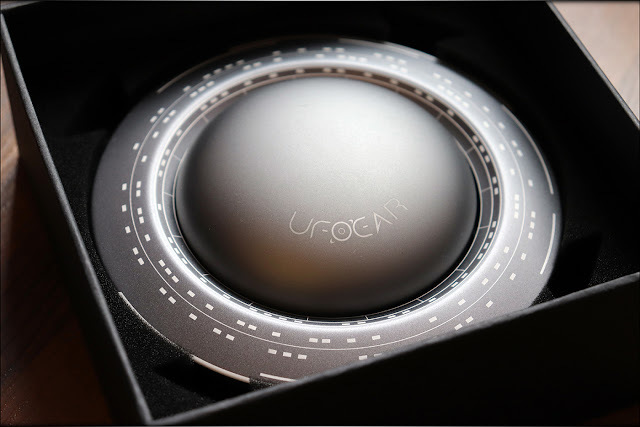 UFOEAR currently has 2 debut models, the UFO-111 and the UFO-112 which the latter is said to be limited to a run of 2000 units worldwide. The UFO-111 is marketed to have great synergy with Pop music and little is to be known spec-wise as I wasn’t personally able to find any information yet except that it looks a rather toned-down sibling from the UFO-112 which, according to UFOEAR, is for ACG music and if I got this correctly, stands for Anime-Comic-Games and is widely popular in mainland China. 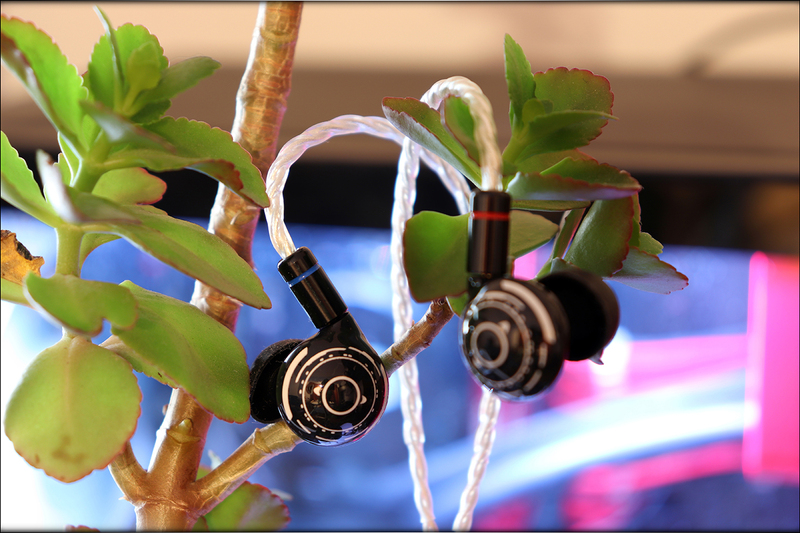 What we have here to realview is UFOEAR’s UFO-112, a triple driver single dynamic and dual BA hybrid IEM which comes in 3 color options (Red, Blue and Black) and is spec’d out with a 14Ohm Impedance, 109db Sensitivity and a Frequency Response of 3 Hz-20 KHz. 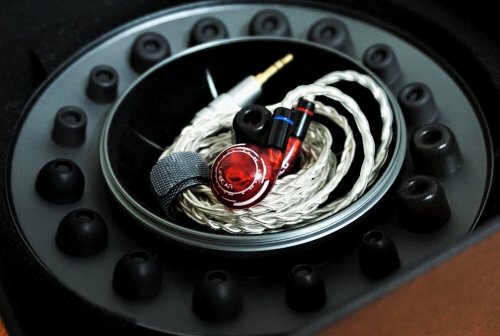 The UFOEAR UFO-112 price starts at $360 and caps out at $440 depending on customization options. 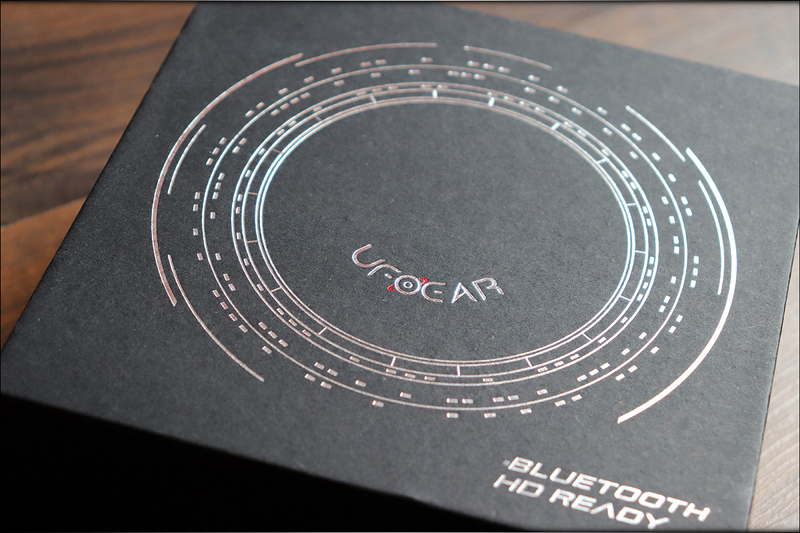 You can check them out on their official site, UFOEAR and cop one off the UFOEAR TaoBao site. They say aiming for the moon makes one to be among the stars, is UFOEAR’s aim a hot or miss? Let’s take an in-depth shoot. Concealed in a black box with a silver flying saucer print and the UFOEAR and the Bluetooth HD Ready marketing assurance and on the lower side showcases all the necessary product information which is 90% in Chinese except for notable notes like the color of the IEMs and the unit number since this is on a limited 2000 pieces run. 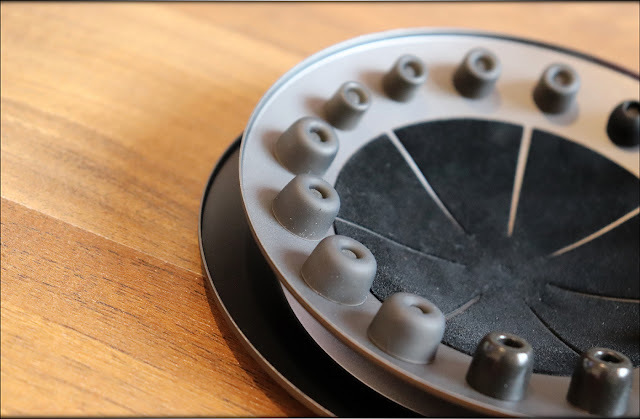 Underneath is a full-pledged cushion setup of foam cut-outs designed to secure the distinctive UFOEAR gray metal flying saucer IEM and ear tips receptacle. 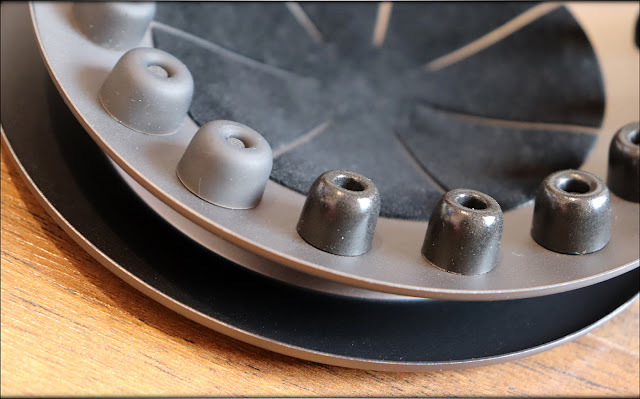 Inside this flying saucer are 2 sets of black foam ear tips, 1 set(S, M, L) of black silicon ear tips and 1 set(S, M, L) of translucent silicon ear tips. The official UFO-112 comes with a BT cable supporting aptX and a charging cable although my review unit didn’t so we won’t be touching that aspect. The round metal IEM receptacle itself is lined with black velvet and utilizes the spin-lock mechanism which is very satisfying to open and close on the go and fits the UFO-112 along with its stock cable perfectly. 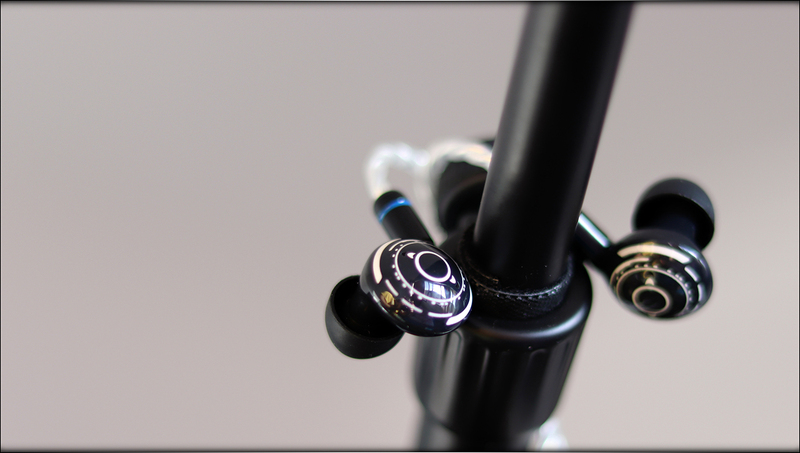 The UFO-112 came with a pseudo-round braided SPC stock cable in the standard .78 2-pin configuration and a gold-plated 3.5mm straight plug with metallic silver housing and Y-split and decent strain relief. It does come with a chin slider and an over-ear memory wire guide which helped greatly with keeping the UFO-112 in place. There is almost no microphonic noise on the cable when used on the go. The shell is a bonded 2-piece circular FDA-approved integral molded 3D resin with the flying saucer imprints and the UFOEAR branding on the faceplate along with 2 polar opposite vents for the dynamic driver although upon careful inspection, the internal wirings are slightly getting in the way of the vents and the dynamic driver, the vents are nonetheless nearer the dynamic drivers than the dual BA drivers. The underside of the UFO-112 shows “FOR-ACG” on the right earpiece and “UFO-112” on the left and the usual L-R markings. The build is overall sturdy and clean except for one thing, the 2-pin connection was too damn tight and detaching it was a no-go as you could clearly see through the translucent shell that the 2-pins were bending too much and we won’t be having this realview now don’t we if I decided to get my way. The UFO-112 out of the box sounded bright with a noticeable emphasis on the upper midrange and the high frequencies. I then and there opted to utilize the stock foam tips that came with the UFO-112 and with it sporting a dynamic driver, the recommended 50 hour burn-in was observed. I used the xDuoo x3ii and the Sony CAS-1 desktop setup off an MSI GF 62 8RE laptop via Foobar2000 v1.4 for the whole duration of the realview. For an IEM inspired by mankind’s desire for flight, the UFO-112 takes that into account with how it delivers its low-end performance. I pulled out Spandau Ballet’s “Foundation” in 16/44 FLAC and the sub bass is barely deep and gives modest impact and body. It doesn’t pan out too long providing a fast bass decay. The bass is overall clean with great control yet lacking in power. As they say, the higher we fly, the hard we fall. The UFO-112’s midrange gives it a leeway to work towards building its highs. Susan Wong’s “Killing Me Softly” in 16/44 FLAC gave out a clear and detailed lower midrange, free from lower frequency bleeds. The midrange sounded natural and timbre was on point. It is borderline lush, almost inviting and engaging. The UFO-112 flies high and does it well, harsh and sharp treble peaks are not to be heard. Soundgarden’s “Black Hole Sun” in 16/44 FLAC is rendered delicate and has a snap to them. There is no sibilance to be observed as well. The sparkle and clinical treble bite most treble heads would be needing is there. Wide and distinct, in the IEM world that is. The UFO-112 excels in emanating a spacious hall when tracks such as Maria and The Captain’s “Something Good” in 16/44 FLAC are to be listened to. There is a great sense of space with intelligibility of voices and instruments being definite. The vents on the faceplate after all, works. With the UFO-112 being a hybrid of BA and dynamic drivers and the Periodic Audio Beryllium purely driven by a dynamic driver presents questions to be asked yet we are here for the sound as discerned by yours truly. You should know by now that I prefer a bright sounding signature done cleanly and non-fatiguing as possible. The BE does that excellently and while the UFO-112 sounds less bright sounding than the BE, it presents a more balanced sound. The lows, midrange and the highs are more coherent on the UFO-112 while the BE is just damn delicate and has great control with its highs. Being unique and setting yourself apart from the competition is always a welcome and excellent start when on debut especially on the audiophile scene, yet one thing should always be standard, great quality sound. 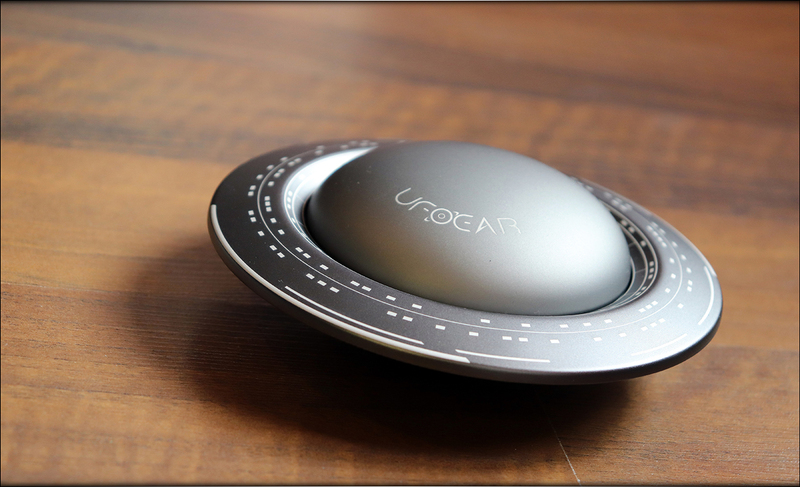 The UFOEAR UFO-112 sounds balanced with a tinge of emphasis on the upper frequencies coupled with an almost complete accessory set one needs nowadays, from going full audiophile mode via its stock cable and the wireless cable it supposedly comes with (would have loved to have tried it). The UFO-112 plays the niche game with its approach and the silhouette it comes with may please some and turn off some. One thing is for sure though which is apart from the very tight 2-pin connection, the UFO-112 presents a tight competition for its peers around its price point. 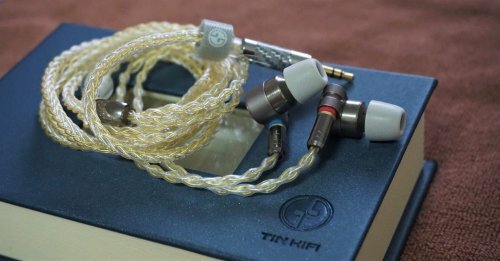 Perhaps post more pictures of this unique looking IEM. Yup, will surely do on my page.